Barry Prophet www.pomer-prophet.com Recording artist with The Sublunar Society. "Sound As Instrument & Art" Vol. 1 & 2. "While you were sleeping. ", "Elusive Moving Parts", "From the Margins", "Elastic Labours" & "Inevitable". https://www.facebook.com/thesubsociety/. http://www.sublunarsociety.com/ This SoundCloud page is the primary SoundCloud page for all of Barry's work in Sound Art, Sound Sculpture & Music composition. 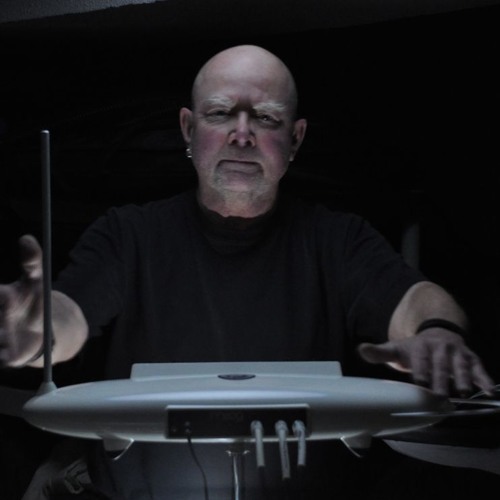 Barry Prophet is a composer, percussionist, installation artist and sculptor whose music has appeared in galleries and theatres in Canada, United States and Europe. Creating unique sounds since 1979, Barry's percussion performance sculptures and micro tonally tuned glass lithophones have been featured on numerous recordings including his CD 'Crystal Bones' ('Prophet gently blows the doors off our settled notions of timbre and tonality.’Globe and Mail, Robert Everett-Green) and with guitarist William Beauvais’ in ‘Invisible Cities’. Barry’s solo exhibition project ‘Dwellings & Incursions’ combines sculpture, photography, video, and sound art. The show travels to communities outside of Toronto (Rails End Gallery Haliburton & Lawrences House Centre for the Arts Sarnia), interacts with aspects of the local environment and provides workshops for school students and community members. Barry’s chime sculptures appear at Musideum 401 Richmond Street West Main Floor. Toronto, ON M5V 3A8. Canada, in private collections throughout North America. Made of rattan, copper, brass, aluminium and bamboo, this new offering is Series #3, reflecting some of the classic smaller shapes of Series #1 and the larger pieces of the Agawa Series (#2) with the addition of dogwood branches to the palette of materials. Lyrical sculptural drawings in air for the eye and the ear. His photographs have appeared at Scotiabank Contact Photography Festival 2012, in magazines and books including Janice Pomer’s Dance Composition, An Interrelated Arts Approach, which features a music CD containing over 30 of Barry’s original compositions. Barry’s outdoor interactive sound sculptures include “A Gathering of Quivers’ The Tree Museum Muskoka, ‘Black Quiver’ at MacLaren Art Centre Barrie, ‘Synthecycletron’ a seasonally permanent sculpture commissioned by New Adventures in Sound Art on Toronto Island, and ‘Sound Booth’ in “Ice Follies 2010” W.K.P. Kennedy Gallery, North Bay. Barry continues to perform live original music & sound art in solo and improv group concerts including solo and duet performances at the Royal Ontario Museum Friday Night Live series.